Some of China's biggest hydropower dams are left idle, according to an industry insider. In Yunnan province, south-west China, a huge amount of potential energy is being wasted due to a dispute over electricity prices. The 2GW Ahai dam, in Yulong county, Yunnan, was idle for a year due to delays in hooking it up to the electricity grid. Given the average annual production of the dam, this is equivalent to the loss of 8.9 billion kilowatt hours (kWh). Many more are facing similar problems; the Liyuan, Longkaikou, Ludila and Guanyinyan dams on the Jinsha, as well as the dams upstream of Miaowei on the Lancang. According to the China Electricity Council, 7GW of hydropower capacity will be idle during the high-water season this year. Replacing that loss would require burning 8.4 million tonnes of coal. The result of this is that Yunnan is predicted to be in the embarrassing situation of having half of its hydropower capacity idle by 2015. At the root of the problem is a dispute over how to use the new electricity. The original plans would have seen Yunnan’s hydroelectricity exported on a “point-to-grid” basis – the power from a particular facility would be transported via the China Southern Power Grid to a particular area. Power from Nuozhadu and Xiluodu was set to be delivered to Guangdong, from the middle reaches of the Jinsha to Guangxi, from Jinping 1 and 2 to southern Jiangsu and from Xiangjiaba to Shanghai, etc. The 56 billion yuan [US$9 billion] in spending on the hydropower projects mentioned will provide 9.52 billion yuan [US$1.5 billion] of value-added tax income for Yunnan over ten years. And that does not include the construction taxes, stamp duties, income tax, rental taxes and farmland use taxes during construction, or levies paid for educational and local use after construction. It could be argued that Yunnan is putting its own interests first. 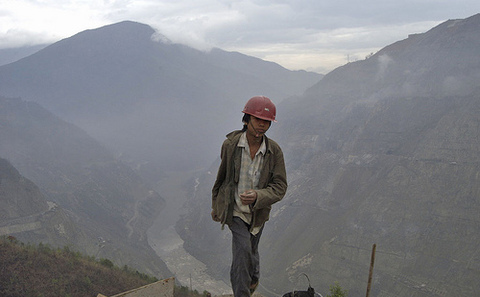 Yunnan’s preferred “grid-to-grid” method would mean more investment and more risk. But others believe Yunnan is right to look after its own interests. According to an industry insider, the prices for electricity exported from Yunnan were fixed by the National Reform and Development Commission’s pricing department – and are derisory. It would be more profitable to sell the electricity on a grid-to-grid basis. This excess energy has led Yunnan to look for ways to use it themselves. The provincial pricing authorities announced that between June and October this year the provincial grid would buy surplus hydropower at 80% of the usual price for the high-water season. According to other sources, the provincial government is also trying to encourage the development of new industry, but the prospects are dim. For example, recent plans to develop the power-hungry smelting industry in Yunnan have come up against opposition on environmental grounds. This is an edited version of The truth about Yunnan’s power exports and Shocking waste of hydropower in Yunnan – local interests need to change, both published in China Energy News. I knew about power shortage, but am surprised to find out that some power is generated but not used. State intervention is not good. Hu Xuecui is a China Energy News reporter.